Lexus made its local debut exactly on January 14, 2009 with the opening of its flagship store in Bonifacio Global City in Taguig. 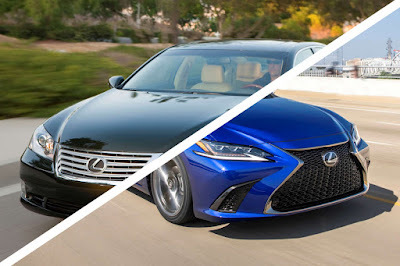 Their initial line-up comprised of the LS 460, ES 350, GS 460, IS 300, and LX 570. In 10 years, Lexus managed to grow that five-vehicle line-up to its current range of 12 models, including a bunch of gasoline-electric hybrids. In a span of 10 years, Lexus has become the second best-selling luxury automotive brand in the country. It has managed to maintain a strong leadership, particularly in the SUV segment. Lexus Philippines is now the 4th biggest in terms of new car sales regionally, tied with Lexus Thailand. However, in terms of market share, Lexus Philippines is in the Top 2 among its Lexus regional affiliates, next only to Lexus Indonesia. Despite having only one showroom, Lexus has managed to expand their operations with 5 accredited service centers across the Philippines. These are located in: Laguna, Pampanga, La Union, Cebu, and Davao—all done in partnership with local Toyota dealers. In the past 10 years, Lexus has been on a journey of product transformation. Its design language, in particular, has become bolder and more distinctive. Hand-in-hand, they’ve also significantly changed their driving dynamics without sacrificing the world-renowned comfort Lexus is known for. In 2017, Lexus changed its tagline from “Amazing in Motion” to “Experience Amazing.” This coincided with the launch of the Lexus LC flagship. Since then, models with elevated levels of performance, design, and craftsmanship have been introduced to the market: the LS, the ES, and the All-New Lexus UX, which marks the brand’s first-ever sub-compact SUV. In the entire 10 years of Lexus in the country, CarGuide.PH has only managed to drive one Lexus model—the IS 350 and this was way back in 2013. Wrong date - Lexus made its local debut exactly on January 14, 2019 with the opening of its flagship store in Bonifacio Global City in Taguig.